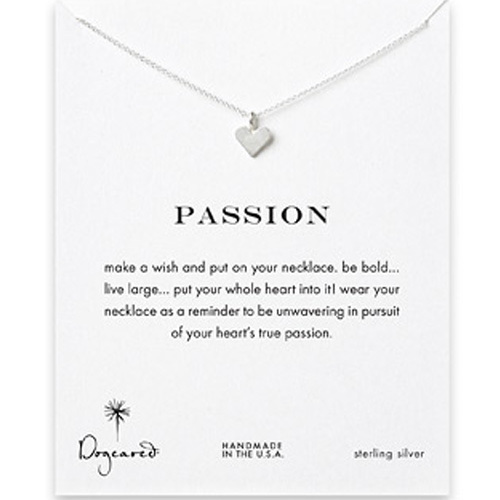 Dogeared Passion Necklace in Silver. Make a wish and put on your necklace. Card Message: Be bold...live large..put your whole heart into it! Wear your necklace as a reminder to be unwavering in pursuit of your heart's true passon!